I’ve loved animals of all kinds all my life. When my parents asked me what I wanted to do for my birthday, the answer was always “go to the zoo”. I loved getting a close look at all the different mammals, reptiles, fish, insects, and birds. But my interest in animals has always been as an amateur. I’ve never even had a class in basic biology. I was too scared. I knew there would be dissections and I didn’t think I could handle it. So I studied other sciences and paid attention to animals in my off hours. The closest I got to having a job related to wildlife was working for the Bioacoustics Research Program, which is part of Cornell’s Laboratory of Ornithology. The job was not what you might think. I spent most of my time in front of computers. I started out analyzing recordings of whale sounds, then became a computer programmer, developing software to help analyze all the sound recordings the researchers brought back from the field. Over the years, I listened to hours of tapes of whale songs and frog calls, but never birds. So when people assume that working for the Laboratory of Ornithology means I know my birds, I want to laugh. I did learn to recognize some bird species while working at the Lab, but it was entirely an informal process. I would see or hear a bird out in the sanctuary and ask someone standing nearby what it was. Fortunately, most of the people who work at CLO are avid bird watchers and could answer my questions. If I was lucky, I’d learn a bird in one try. 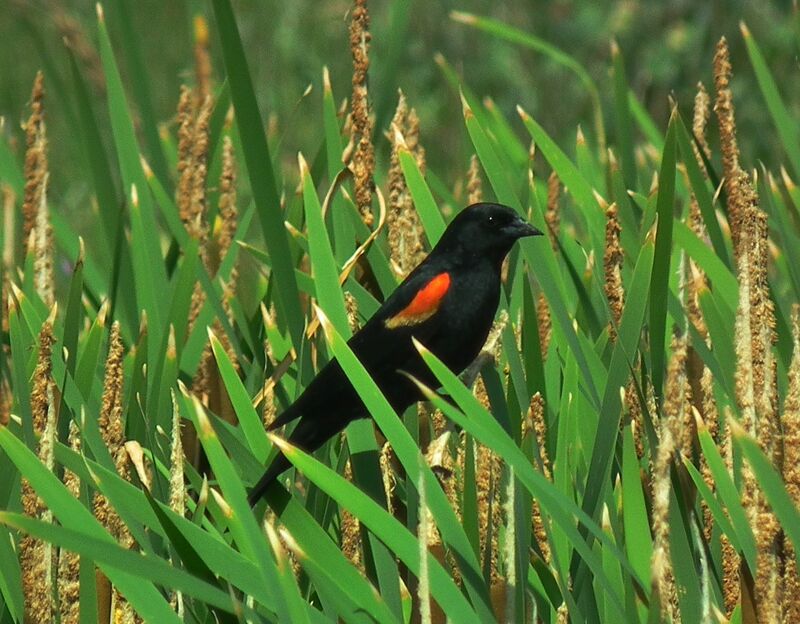 That’s what happened when I heard red-winged blackbirds calling on the pond behind the lab, because I had heard those same bird calls thousands of times when fishing with my grandfather in South Dakota. I knew the sound well, I just didn’t know what was making it. Since I’ve left the lab, I rely on my husband and my field guides to help me learn new birds. The Colorado prairies are full of birds I never saw or heard before, right along with some old familiars I’ve known since childhood. 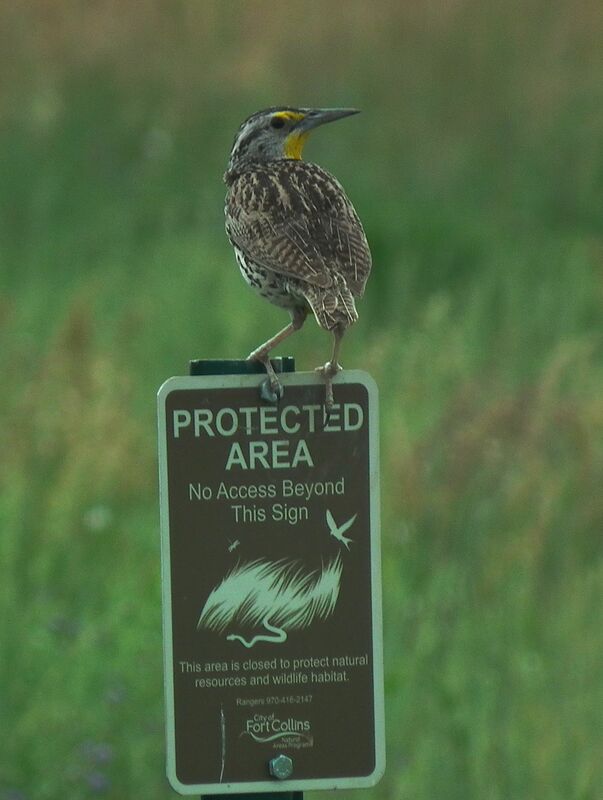 Some birds are obvious: the western meadowlark’s song and yellow front are easy to spot. Others are more challenging, like the slew of sparrows that are all small and brown, with minor variations in plumage. I still have to tackle learning their markings and their songs. 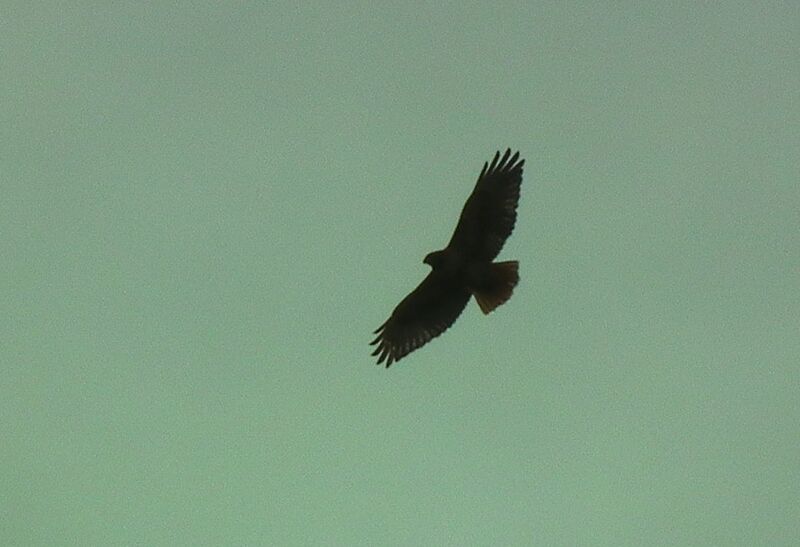 Overall, I am amazed to think how many birds I can identify today. Sure, I don’t really know that many species, but I know most of the birds that live where I do. A slow and relaxed approach to learning to identify birds has worked just fine for me. There’s no need to rush or obsess about learning them all at once, as I thought when I was in college. My casual, almost accidental, education in bird watching has been effective and fun. With that in mind, I will share my tips on how to get started watching birds in my post on Wednesday. Hi Kit! My hubby loves his birds. He’s not one to look up their names, but he enjoys feeding them several times a day. We do get a variety: sparrows, blue jays, cardinals, mourning doves, some I don’t recognize. I love the finches that show only after the sunflowers have gone to seed. Learning which bird was which has been much more fun that I would have predicted. The harder I look, the more likely I am to see something new or unusual, and that’s exciting. I love flipping through my guides and looking for a new bird. But if he’s a technology fan, your hubby might prefer one of the phone apps that help ID birds. Figured there’s an app for that, too, lol. I’ll tell him to check. Thnx! Lots to choose from. I’d recommend one, only I’ve never used them! My hubby is the one into apps. I’m more of a book girl. Thnx. Knowing my guy, he’ll be happy to sit there and look at their differences, no app required, lol.